Appearance : Liquid Aroma : Fresh, floral, sweet, slightly fruity, fragrant yet delicate. Ingredient: Gapeseed Oil, Neroli Oil or Grapeseed Oil, Sandalwood Oil, Grapeseed Oil, Grapeseed Oil, Rosewood oil Shree Overseas Exports has best oil to reduce wrinkles. It reduce all type of wrinkles . You can use best essential oil for wrinkles on face, essential oils for wrinkles around the eyes. 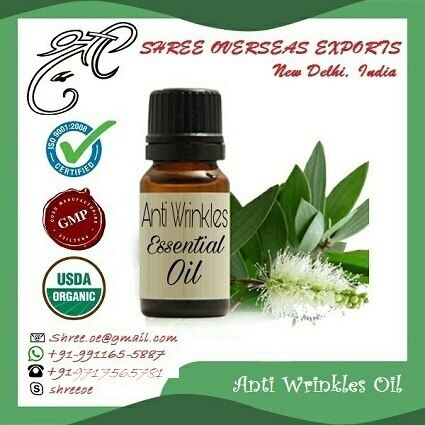 essential oil for wrinkles and age spots, best essential oil for deep wrinkles around mouth, best essential oil for deep wrinkle recipe . Also essential oils for forehead wrinkles .